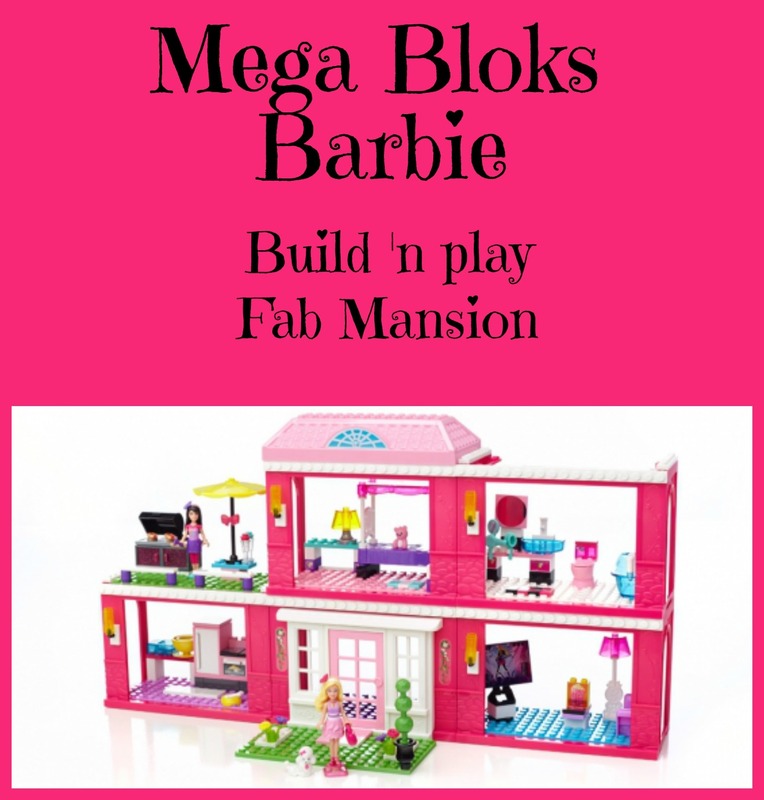 Mega Bloks is a brand that you may recognize and makes amazing products for kids of all ages. They have teamed with loved icons such as Hello Kitty, Halo, Barbie, and skylanders. With a product line as vast as this you are sure to find something for all ages even the kids at heart. This set has a TON of moving pieces allowing for hours of play for the little girl in your life. The TV is on a swiveling stand and that is something that Impressed us the most. 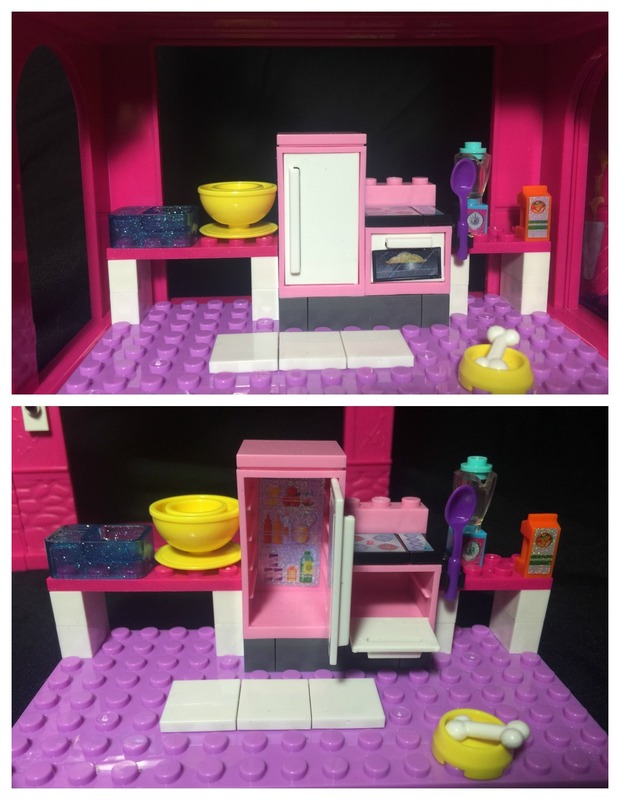 The Tv, Grill, fridge, bath fixtures are awesome and all have movable items that make them more fun to play with. The rooms are interchangeable but we wish they clicked into place so you can move the house around without the rooms wanting to tilt out. This set promotes creativity allowing the child to come up with stories and have more of the classic doll house feel. I think its awesome that its like a modern doll house because its something a lot of kids may never have in todays world. Now they can build it and then play with it. Lots of small pieces that can be used with characters to add to the game play. I highly recommend doing the sticker work for your child as there is a lot of them. Recommended 6+ but we suggest adult assistance under 8 because they may get frustrated if they aren't used to building sets. This requires patience and took us as 2 adults about and hour to build and then photograph. 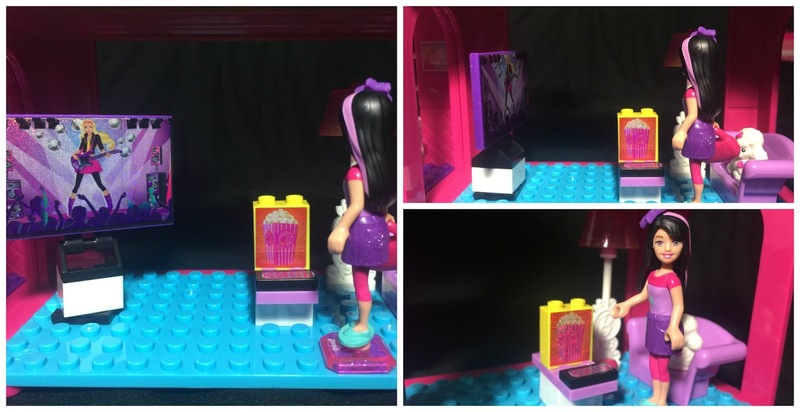 Josie is a Huge fan of Barbie and we can't wait to see the look on her face When she gets a look at this. 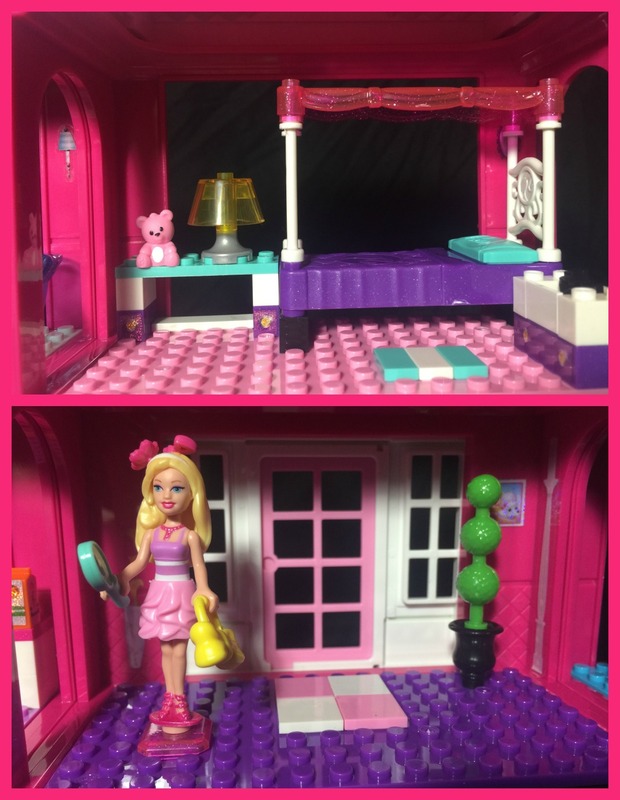 So if you have a doll/ Barbie lover in your family and you are looking for a gift we Highly recommend the Mega Bloks Barbie Build 'n Play Fab Mansion. 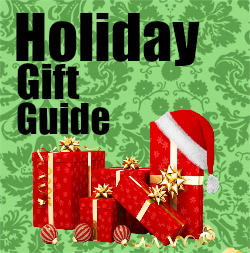 This is part of our Holiday Gift Guide. This looks like so much fun to play with. I have so many cousins that have little girls that this would be the perfect gift for them for christmas. Thanks for sharing and I will go check them out right now. OMG! 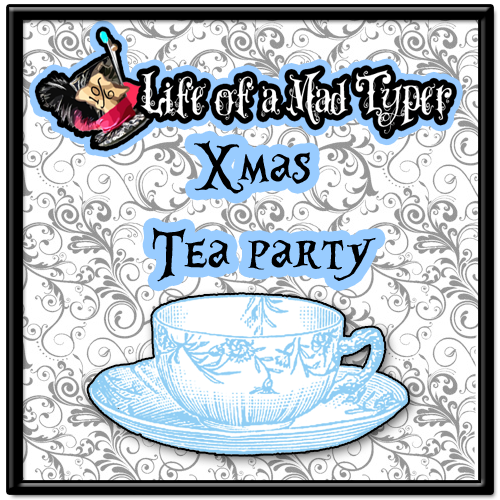 This looks like it would be so much fun! I love that the furniture and stuff can be moved around. Super cool! Perfect Christmas gift. Your photographs tell a story and it is soooooo cute! I love tiny furniture too. 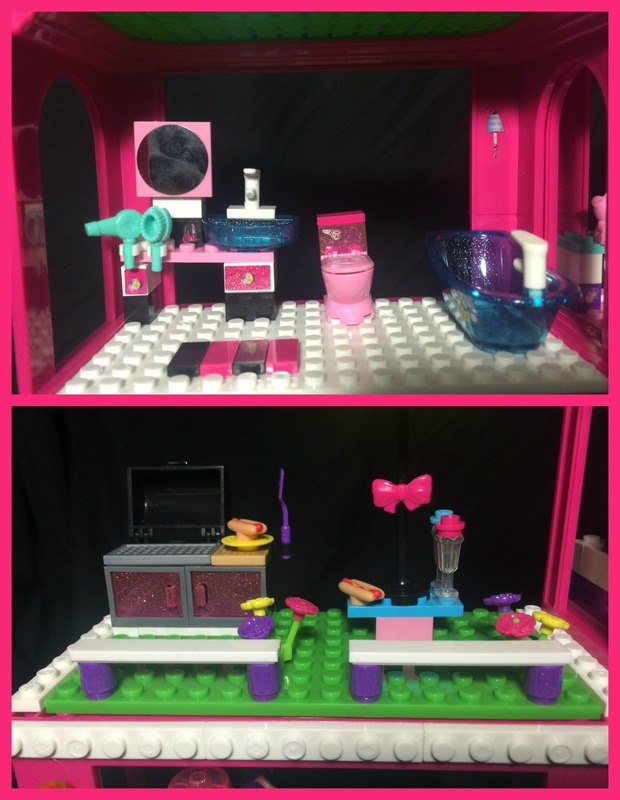 I also love that Barbies house is cleaner than my own! Oh I'm so glad I seen this, this looks like a perfect Christmas gift! I know my niece will have tons of fun playing with this for hours on end!